I am on a coconut kick! 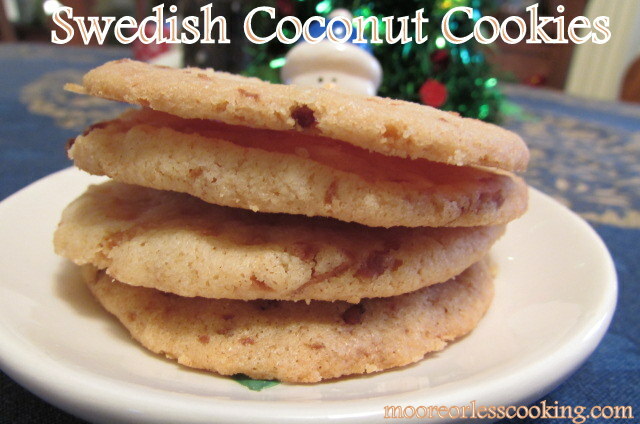 These cookies are so light and buttery and coconut-y delicious. Almost like a shortbread, but thinner. This recipe makes 72 cookies, which is great because they disappeared quickly. Keep a roll in the fridge, cut them up and bake when you have a cookie party to go to, or a Christmas party. These will be your new favorite cookie, I promise, they are that good!! Light Buttery crispy coconut cookies, my new favorite cookie! Combine all ingredients except coconut in large bowl. Beat at low speed with a hand mixer, scraping bowl often, until well mixed. Divide dough in half; shape each half into a 12x2-inch log. Wrap each log in plastic food wrap; refrigerate for at least 2 hours until firm. Heat oven to 350°F. Cut logs into ¼-inch slices. Place 2 inches apart onto parchment lined cookie sheets. Bake 10-14 minutes or until edges are lightly browned. Cool 1 minute on cookie sheet; remove to cooling rack. Linked up to these parties! Just when I thought I was done baking you show up with another recipe that looks too good to not make!! Okay, I love coconut also…but which recipe should I make of the last two-no bake or bake? help! OMGoodness!! Out of this world delish!!! Hi Jackie! So happy you enjoyed the pecan cookies! The no bakes are a smaller cookie, almost bite size. the Swedish are light and crunchy, they also make more cookies than the no bake. Click print recipe. I had to change my programming, blogs were copying all of my pictures and recipes and posting on their blogs as their recipes.Hope this works for you! Tricky tricky! Guess that means I have to make both kinds!! The C&P part I meant was for the bar to place my blog URL- no big deal…shame shame on those who don’t do their own leg work!! Really glad to have found you- you are in NY? I am upstate just west of Oswego,NY. Okay…back to art and more cookies!! ps…how about some ideas for Christmas eve appetizers? Oh I see what you are saying, I will check it out, I had to keep deleting spam, maybe (C &P) it isn’t working now?? I am in Coastal Maine. Christmas Eve apps: Baked Brie en Croute, amazing! Jalapeno Popper Dip, very popular!, Artichoke Cream Cheese Dip, always a hit!, Pesto Cheesy Bites, easy and disappear quick, Bacon, Asiago Cheese and Caramelized Onion Dip, heavenly!, Spanakopita, amazing!, I have tons of apps, check on the top categories on my blog. 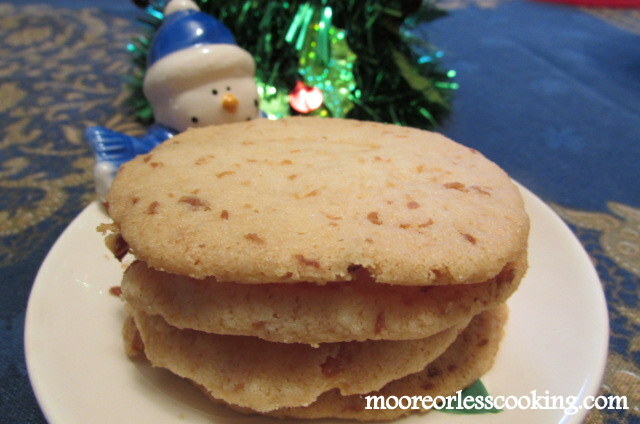 Thank you for sharing you fab cookies on #PureBlogLove link party this Christmas weekend! I have had an amazing time checking out your wonderful recipes in 2014 and hope to see you through 2015 with more fab recipes and menu ideas! !